This round trip tour is from any Hotels, Villas, Airport or Cruise ship port in Montego Bay to Negril Weed Plantation, see how locals grow our world renowned Ganga, weed, or Pot, Jamaica best strain of weed for decade. With this tour you will Get a Complementary rolled one, Ganja Tea is on request! This day tour Inc Stopping along the way for coconuts, fruits, scenic pictures, in negril at Ricks Cafe, Lunch at a local Restaurant, swimming at negril seven miles Beach, Margaritaville. Only if you want to as our customer can chooses which of these to skip or added as you are the boss on our private day trips! Private Tour: 1 to 3 persons (This is Transportation cost only, Please take cash ) $190.USD Total. Each extra persons US$20.USD. The entrance fee to this plantation is an extra $20.USD each persons, you will need cash for shopping, Lunch, boose, or whatever. This is the best way to see Negril, to inc the world famous Ricks Cafe, dont just stay at your all inclusive Hotel, see where Negril locals hang out and live! Please take Camera, Minimum Cash, any dress code are accepted. 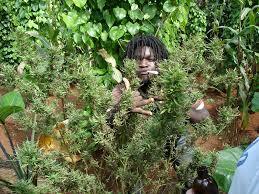 Jamaican Law..up to 2 ounces are decriminalised, every house hold are allowed 5 plant legally per house. It is now legal to grow commercial mariguana in Jamaica with a government issued licence. Come Hang out in Negril Jamaica!! This drive time from montego bay to negril is 80 mins each way, all the other places in negril is about 20 mins the most apart. This tour starts whenever you say and leaves negril at 7pm the latest. if you need more time in negril you will have to make arrangements with your driver. Book your Private airport transfer above, in the Green line!